The changes from last map is that several places are added. Goldmalt in Van Phuc and Pragold has closed due to bad business. Goldmalt will open a new place on Lang Ha street and one in Gia Lam district. Hope fully more places will open in 2014. When it comes to the whole country, as of Today there are about 35 microbreweries. Except from Hanoi and Saigon, its also worth to make a visit in Hai Duong, Hai Phong, Nha Trang, Mui Ne and also maybe Phu Quoc. 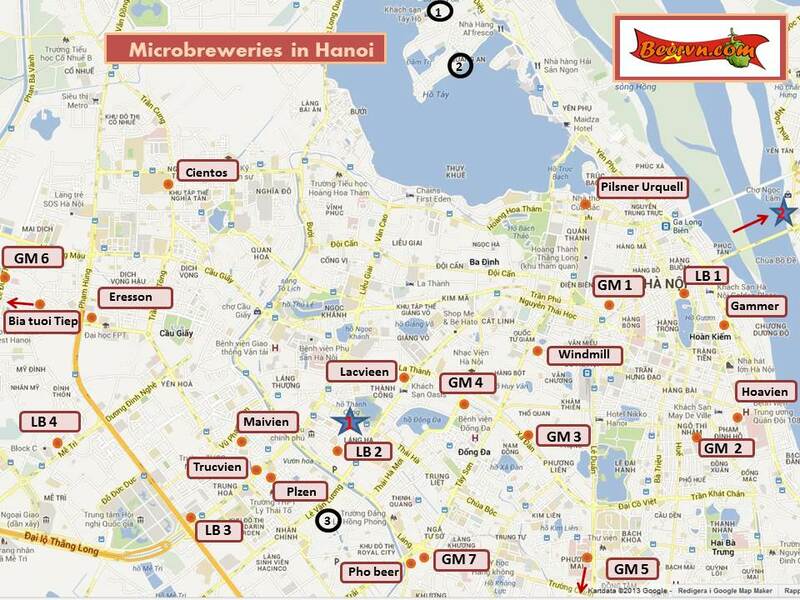 Next trip will be to Phu Quoc (in February) where we might find a microbrewery. Thanks for the map, I will try Pho Beer near my place… if you have time, you can use this tool to turn it more dynamic and useful (i.e: with address, photos, …). Cheers. Hi Jonathan – great information thanks. I wish I knew when I was in Hanoi. maybe next time! Will connect with one of your tours or look you up. Cheers, Owen. Reblogged this on Year 4 Beer.